LC Quad plastic adapters are designed for mounting in panels with rectangular cutouts . LC adapters are compact and space saving with ceramic alignment sleeves which provide precision mating for both multimode and single mode applications . The LC adapters use the same panel cut out as a duplex SC adapter but provide twice as many ports . Looking for ideal LC Quad Adapter Singlemode/multimode 4 Ports Manufacturer & supplier ? We have a wide selection at great prices to help you get creative. 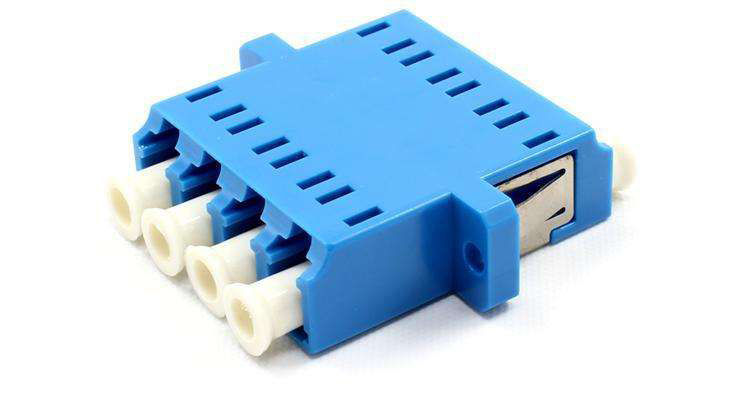 All the LC Quad Coupler Singlemode/multimode 4 Ports are quality guaranteed. We are China Origin Factory of LC Quad Adapter Singlemode/multimode. If you have any question, please feel free to contact us.